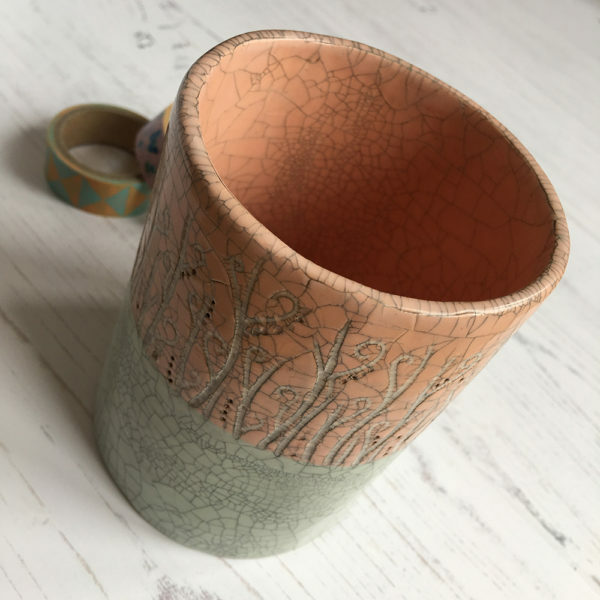 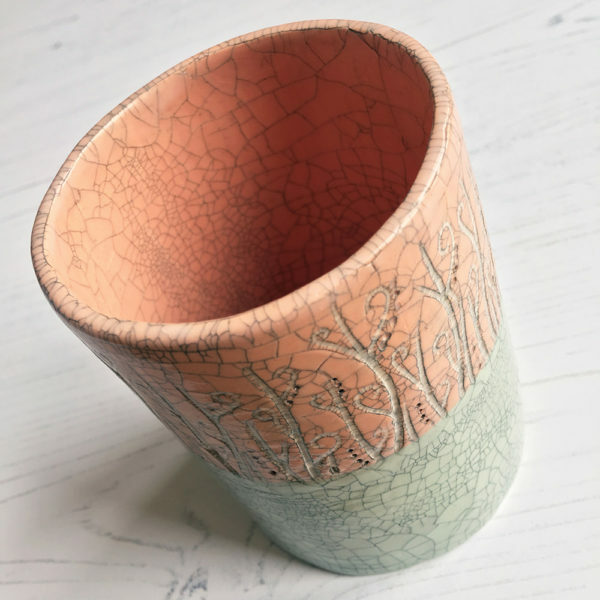 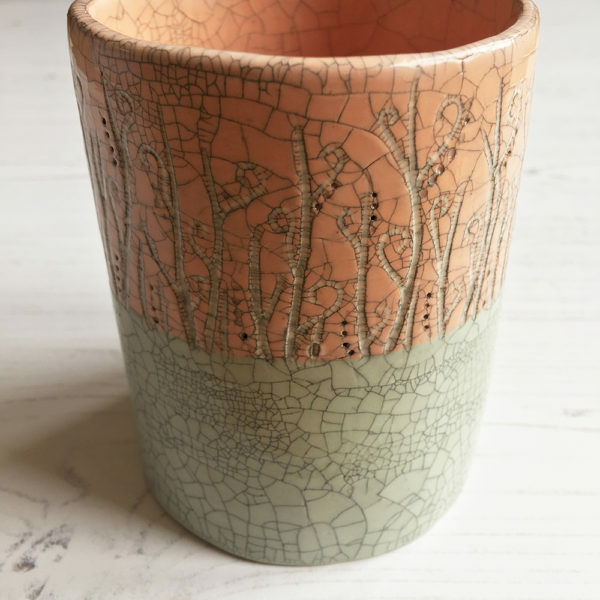 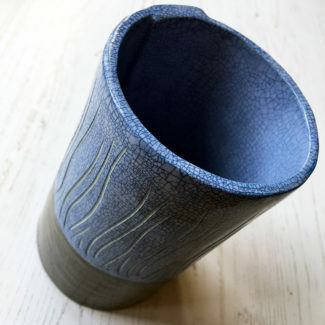 Stoneware cylinder pot decorated in mint green and peach slip featuring a carved design from the midway point to the top which has a crazed glazed finish. 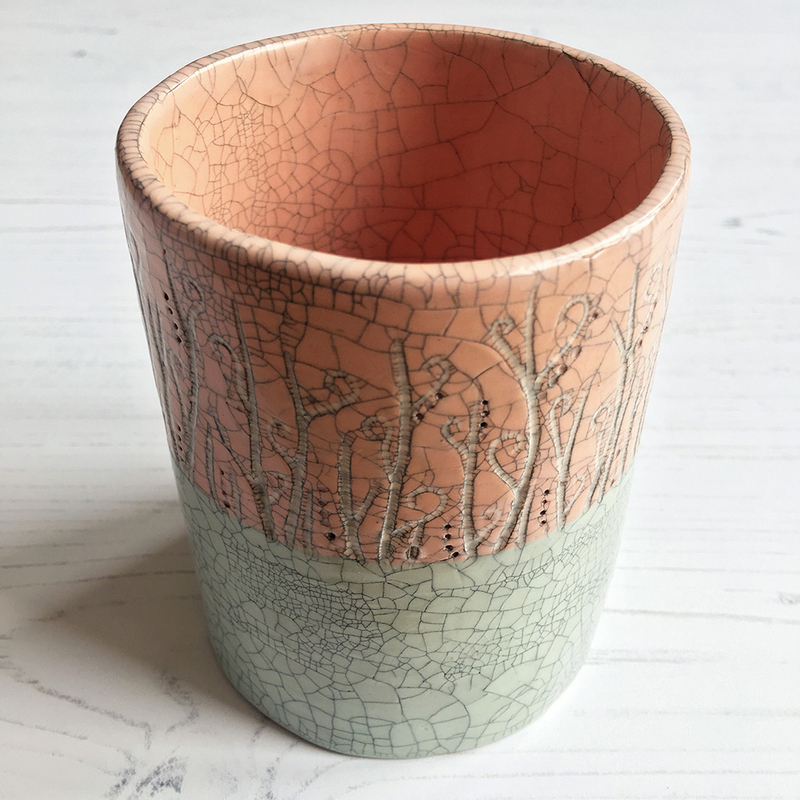 The pot has been highlighted indian ink to bring out the crazing/crackle. 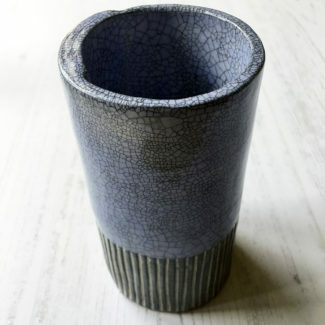 The pot measures three inches across and stands around four inches high. 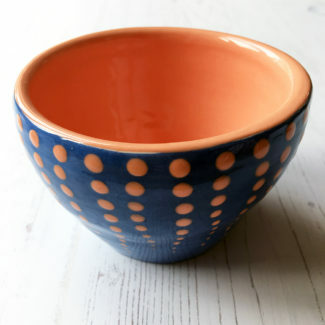 This pot is for decorative purposes only and not suitable for food or for containing liquid.